I’ve been loving the heck out of my Meet Matt(e) Palette from The Balm and have really grown to love all of the ways matte shades can used. I’ve heard that Urban Decay’s Naked Basics Palette has become many makeup junkie’s go-to palette for their everyday looks. Naked Basics can be used to perfectly compliment it’s fellow Naked palette’s or on it’s own for a velvety smooth makeup look! One of the huge bonuses this palette offers is the fact that it’s really small! 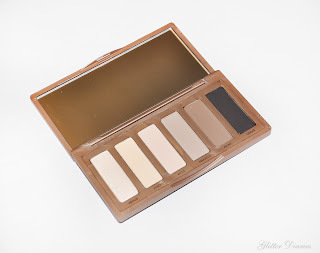 The other Naked palettes are a little bigger with some weight to them so if you were to add this to your makeup bag, it wouldn’t make much difference. It can be a little tough to open but it doesn’t bother me too much because it kind of makes me feel confident that it’s not going to easily fly open in my makeup bag! Naked Basics comes with six mostly matte eyeshadows (the lightest shade has a soft sheen to it), including four new shades! I was delightfully impressed by this nifty palette and it didn’t fail to give me the pigmentation I was expecting. The application for all of them went pretty smoothly, however you should expect fall out, especially with the darker shades. 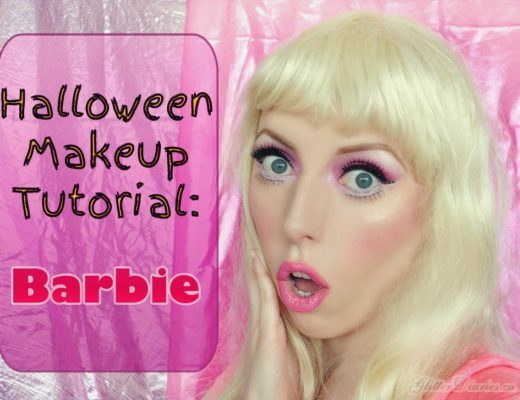 I know to make sure to tap excess powder off my brush before applying to my eyes. I’ve been using this palette in the mornings throughout the week because it’s so convenient to grab and the mirror that comes with it is a nice size to use when I apply my makeup. The packaging is nice and sleek and doesn’t collect things like the packaging that came with Naked and is light as a feather compared to Naked 2. If you like simple, clean neutral makeup and don’t have anything like this in your collection, this is worth buying! 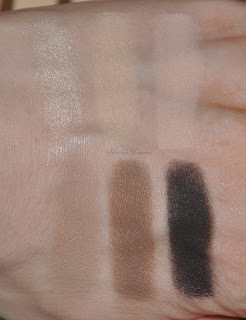 The price of it might be around the same as other bigger matte palettes, but the size of the shadows are decent and you get the quality and colour intensity that Urban Decay is known for. 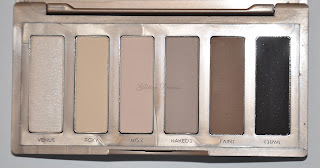 This palette may look easily dupe-able or something people might think they have something similar to but I really suggest that if you’re one of those people, you really need to test it out for yourself. By playing with the shadows, you’ll be able to spot the differences and what makes these shadows unique. 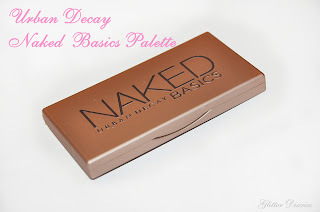 What do you think of Urban Decay’s Naked Basics Palette? Do you like or dislike it?! Big Wardrobe, Small Closet Spring Cleaning Tips! FREE Weekend Workout Sessions with Trainers On Site and Spartan Fitness!